I earn money by monitoring, mapping and estimating greenery through satellite remote sensing. I explore world by travelling, reading and chatting. There is no remote sensing method that can give direct measurement of Above Ground Biomass (AGB). In most studies of AGB utilizing remote sensing, field-measured biomass values are used to train methods in predicting AGB values, linking biophysical parameters extracted from remote sensing data. Design (sample extrapolation) or model (empirical and mechanistic) based remote sensing approaches are being commonly adopted for biomass assessment and mapping. Although coarse and medium spatial resolution data, such as MODIS or Landsat TM, provide the potential for AGB estimation at a sub-national to national to regional level, mixed pixels and data saturation are major problems in AGB estimation in sites with complex biophysical environments. 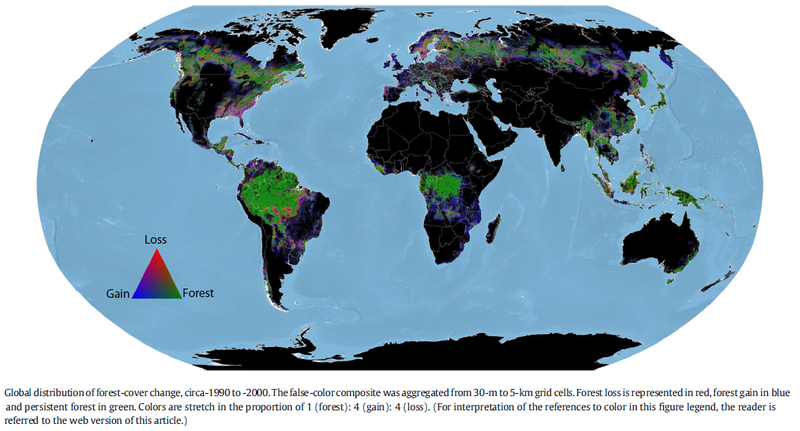 Figure 1: Geographical coverage of peer-reviewed published studies on forest AGB estimation using high-resolution satellite imagery (in the time span 2004-2015). The legend shows the satellite datasets used for different studies. In terms of assessment and mapping of deforestation (area, location, type of change), forest degradation (reduction in production capacity i.e. timber volume / biomass) and proxies of forest degradation (canopy closure, canopy morphology, number of mature trees, number of preferred trees, density, species composition, wild fire, and soil surface erosion), high resolution images are capable of predicting accurate results. Apart from other tree parameters, high resolution satellite data are being used for the estimation and mapping of AGB. For site specific or sub-national level AGB estimation, high resolution satellite data could provide better results. However, due to diversity of data sources, study locations, number of samples, statistical methods and modelling standards, it is difficult to compare studies, and there is still no agreement on best practices to estimate biomass. In research communities, high resolution satellite data is gaining increasing popularity, so this post gives a quick glance of 28 peer reviewed published studies of the last 11 years (2004 – 2015) in this field of study. Out of 28 peer reviewed published articles, 12 have been on study sites in Asia, 8 in North America, 5 in Africa, 2 in Latin America and only 1 in Europe (Table-1). QuickBird and IKONOS satellite have mostly been used for estimation and mapping forest biomass. Even in some cases, either two different sensors are jointly used (e.g. GeoEye-1 & QuickBird and QuickBird & WorldView-1) or integrated with active and passive medium resolution optical data (e.g. Landsat, ASTER and LiDAR) or microwave remotely sensed data (e.g. SAR / InSAR). Figure-1 provides the geolocations of studied conducted in different parts of world. Table 1: Continent-level specification of high-resolution imagery used for forest AGB estimation and mapping in the time span 2004-2015. 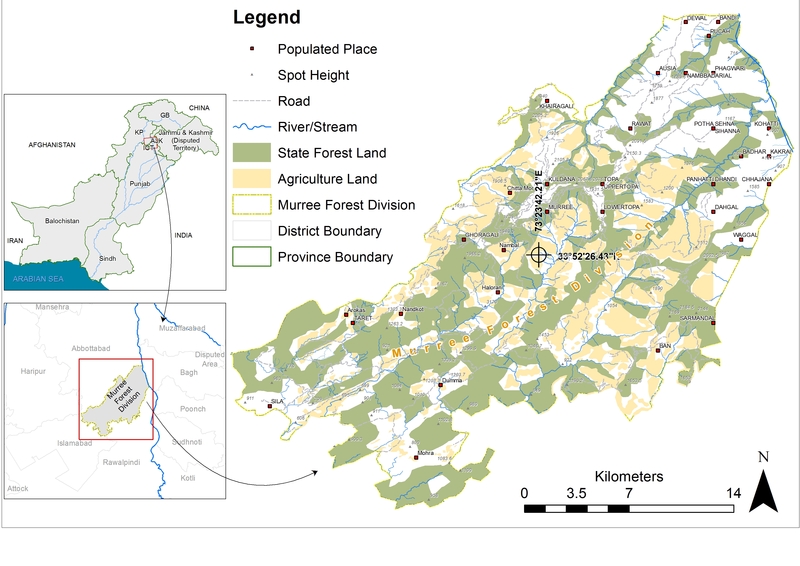 This entry was posted in Uncategorized and tagged Biomass, Forests, Optical High Resolution Satellite Images, remote sensing on May 21, 2015 by Hammad Gilani. This blog post is in continuation of a previous post i.e. “A Very Brief History of Optical High Resolution Satellite Imaging”. For laymen, high resolution satellite images are fascinating as mere pictures containing earth features. But for the remote sensing analysts or experts, challenges start to come up while trying to quantify earth features through image processing algorithms. To attain accurate quantitative results from high resolution satellite images is subject to positional accuracy. If the images are not observed from exactly the same point in space, then they can have different displacements, which could cause geo-registration errors. 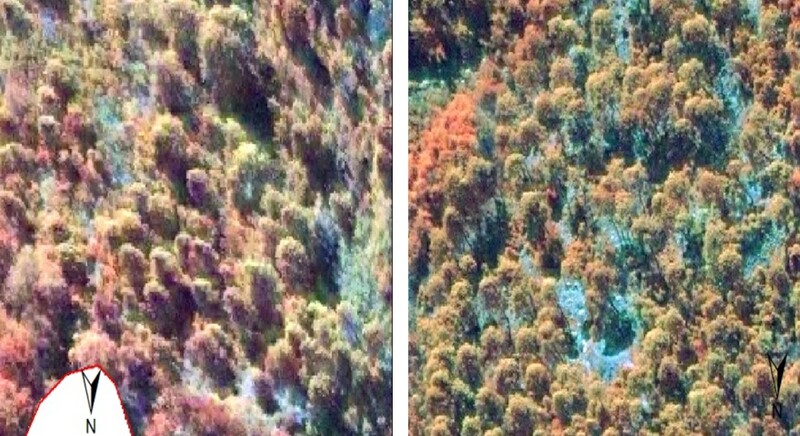 Geometric or ortho-rectification (especially in mountain areas) of the satellite images is vital to overcome the distortions related to the sensor (e.g. jitter, view angle effects), satellite (e.g. attitude deviations from nominal), and Earth (e.g. rotation, curvature, relief). All high resolution optical Earth Observation (EO) satellites are equipped with global navigation satellite systems (such as GPS), star sensors, and gyroscopes. Although most high resolution imaging sensors provide high resolution digital elevation models (DEMs) along with satellite images for accurate ortho-rectification, but due to cost factor of high resolution DEMs, analysts often prefer to rely on publicly freely available DEM data with the integration of Rational Polynomial Coefficient (RPC) files. The sources of distortion can be grouped into two broad categories: the Observer or the acquisition system (platform, imaging sensor and measuring instruments, such as gyroscope, stellar sensors, etc.) and the Observed (atmosphere and Earth). Factors such as sensor view angle, sun elevation and topography have a significant effect on the geometric properties of high resolution image (see table 1). For geo-referencing or ortho-rectification of satellite images, several commercial and non-commercial algorithms are available. ERDAS Imagine, ENVI-IDL, PCI Geomatics, IDRISI, ESRI ArcMap and ArcView, Global Mapper etc. are most common and well known commercial softwares while GRASS, QGIS (Quantum GIS), PostGIS, uDig, gvSIG, etc. are open source softwares. Restore 1.0 software can perform image band operations, mathematical image calculations, bundle adjustment with self-calibration, image transformations, image enhancement, filter operations and rectification of any digital image. AutoGR Toolkit can perform automatic matching (scale, rotation and even color invariant) and geo-referencing in few seconds.. For time-saving and fast output products, batch processes through supercomputing technology are being implemented. This example is based on GeoEye-1 (0.5 m resolution) satellites images of Dolakha District, Nepal. Two adjacent images were captured on 2nd November, 2009, with 25.4° off-nadir view angle having 40% overlay area. When both images were ortho-rectified using RPC and 20m topographic DEM, a huge displacement with no data between the images was observed (see Figure 1) with irregular shapes of tree crowns (see Figure 2). This distorted area (irregular shape) occurred in small patches and its distribution was not systematic. For example, in some places where there were less steep slopes (up to 40°), distorted parts did not occur. While processing high resolution satellite images, similarly you may find out geometric distortions. Figure 1: GeoEye-1 image before ortho-rectification (on the left) and after ortho-rectification (on the right) through RPC files and 20m DEM. Figure 2: Irregular shaped tree crowns due to off-nadir view angle, before (on the left) and after ortho-rectification (on the right). This entry was posted in Uncategorized and tagged Optical High Resolution Satellite Images, remote sensing, Remote Sensing Sensors on February 3, 2015 by Hammad Gilani.